Alpaca My Suitcase is a 2D side-scrolling endless runner type game built with Phaser. 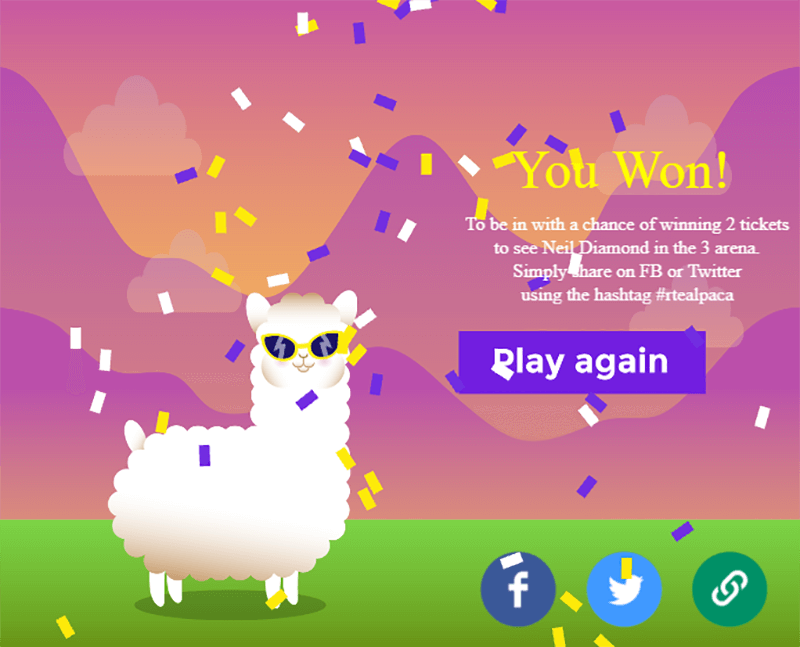 You play as an Alpaca that has to avoid obstacles such as hay or bad weather. Gather as many things as possible until you reach the end. To avoid obstacles, you have to click and hold the left mouse button to power up your jump. Release it so the Alpaca will jump, and you have to carefully estimate as it may hit the obstacles. Alpaca My Suitcase was created for Raidió Teilifís Éireann (RTE) as they cover and promote The Ploughing 17, Europe’s biggest outdoor event. HTML5 games are proving to be very useful for marketing and promoting brands, especially since it is now cost-effective to produce them by outsourcing.